When private property buyers issue an Option to Purchase (OTP) agreement, they may notice that the OTP could state that the sale of the property is subject to either the Law Society Conditions of Sale 1999 or 2012. The Conditions of Sale is a set of documents that define the rights and obligations both the seller and buyer must adhere to as they enter into a property transaction. The Law Society Conditions of Sale is not necessarily included in every OTP and can be attached to an OTP if the various parties decide to include it in the agreement. 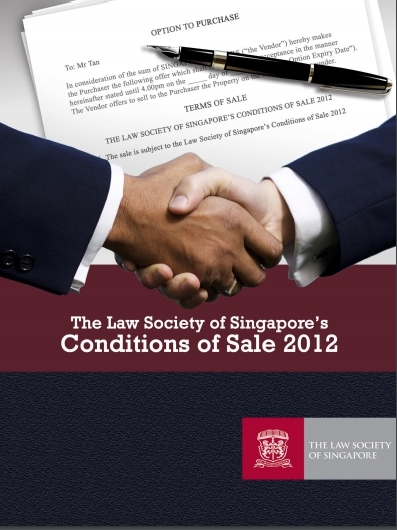 The Law Society Conditions of Sale is updated by the Law Society of Singapore, which amends the conditions in accordance to the ever-changing law from time to time. The Law Society also provides conveyancing guidelines that help individuals better interpret the terms set out in the Conditions of Sale. According to the Law Society Conditions of Sale 1999, the buyer is buying the property in its actual state as it is presented to him. If he discovers defects he was unaware of, he cannot void the sale or claim damages from the seller. What this means is that the seller is now responsible for the state of the property until the completion of the transaction, even though they have sold the property and are merely waiting for completion. Buyers can hold sellers liable if the state of the property at the completion of the transaction differs from the state the property was in when the OTP was exercised, except for fair wear and tear. Condition 10 states that the seller “has not carried out any unauthorised additions or alterations to the Property”. If the seller had conducted any renovations to the Property without approval from the authorities prior to the sale, the buyer can claim from the seller if they are required to rectify the unapproved renovations in the future. This condition is advantageous to buyers as it ensures that the transaction is transparent and that they will not be blindsided by rectification costs in the future if sellers fail to declare unapproved modifications. Sellers who do not wish to be held liable for unapproved renovations can disclose the modifications the seller and draft a clause into the sale agreement that the buyer is aware of the modifications and cannot claim from the seller. The TAX CLAUSE serves to clarify who should bear the Goods and Services Tax (GST) if the contract does not specify whether the purchase price of the property includes GST and if the transaction is subject to GST. Condition 7 of the Conditions of Sale 2012 specifies that the buyer is liable to pay the GST if the property is subject to the tax but the contract does not mention whether the purchase price includes GST. Condition 9 of the Conditions of Sale has to do with a LATE COMPLETION INTEREST CLAUSE. This clause specifies who is liable for a late completion interest if the completion of the transaction is delayed, how much interest must be paid and how the interest is calculated. If the completion is delayed due to one party, then that party is liable to pay a late completion interest as liquidated damages. The Law Society Conditions of Sale 1999 specifies that the late completion interest is calculated based on a relevant sum at 10 per cent per annum, pro-rated according to the number of delayed days until the sale is completed. The Law Society Conditions of Sale 2012 lowers this interest to 8 per cent per annum, pro-rated according to the number of delayed days until the sale is completed. The lower interest perhaps reflects the lower market interest rates. 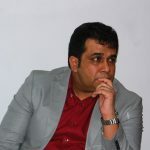 This SPECIAL CONDITIONS CLAUSE pertains to Condition 16, which specifies that if there are special conditions for the sale and purchase agreement between the seller and the buyer then these special conditions will prevail even if it conflicts with the Law Society Conditions of Sale 2012. This ensures that the seller and buyer have the freedom to negotiate special conditions and append it to the sale and purchase agreement without having to be concerned over whether these additional terms conflict with the Law Society Conditions of Sale 2012. This article is not meant to be an exhaustive explanation of the Law Society Conditions of Sale 1999 and 2012 but is meant to give you a better understanding of some aspects of these documents if you encounter the Conditions of Sale as you enter into an OTP agreement. Please consult a lawyer for proper legal advice on which Conditions of Sale you should use in your private property transaction.